During a strategic planning project that I facilitated several years ago, the client agreed to conduct a number of roundtable dialogue sessions. The organization was very successful, but it needed to articulate a clear strategy to convince investors that it could improve profitability. It had successfully transformed from one business model to another over a period of about ten years, but elements of the old culture were making further change difficult. The customer sessions were held among a younger group. These sessions were a revelation to the senior management in that it had not occurred to them to ask young customers what they wanted. Management assumed that their business model didn’t interest young people, and worse, they would be agitated if they were brought to the table. The distributor roundtable was held at the executive level. My client was surprised because they believed the distributors, who competed fiercely among themselves, would not meet at the same table, never mind talk openly or collaborate with my client, their ‘supplier’. The staff sessions were a surprise to middle management because they mistakenly told me to expect only vigorous complaining. We had to run one session without the managers present to prove that the staff were capable of talking without an angry voice. 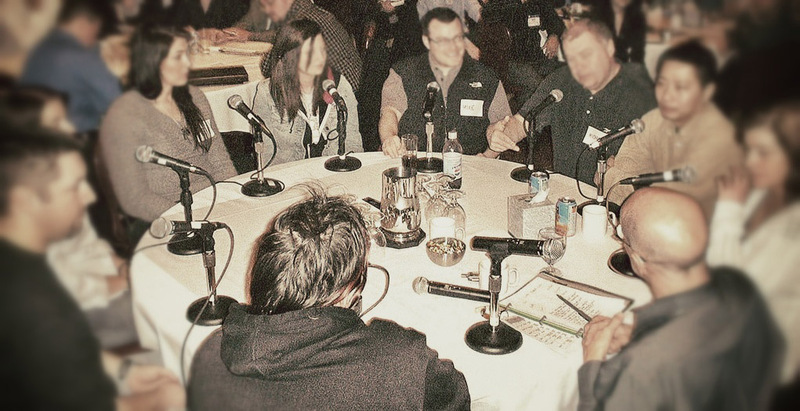 "The roundtable is nothing more than kitchen table conversation framed by a topic. There is a happy paradox about the seeming disorder of the kitchen table. A familiar, rambunctious part of daily life, the kitchen table is, in fact, a tightly structured, self-organizing forum. It has precise rules, known by all, that are easily followed." What types of outcomes arise? Often, there is an unspoken negotiation about group direction and personal commitment. These effects cannot be taken for granted. When moderated by an effective leader, the outcome tends to be quick production of significant new performance results. How does Solution Focus make this powerful idea work even better? What was held in common that worked, despite the problems? What might be different if the problems presented went away? What might the group want to see done right away to make progress? As the strategic planning proceeded the organization was able to articulate the future it wanted. Where they had thought there was disagreement and resistance to change, instead they had created purposeful dialogue and progress. Alan Kay is helps organizations through Solution Focused applications in strategic planning, customer experience and stakeholder consultation. http://alankay.ca/ His book Fry the Monkeys has been well received. Providing 'no guidance' for meetings is often a tough sell in most business environments. The most prevalent thinking is that (especially) strategy discussions must be constrained by agenda and targets so that the conversations doesn't get out of control . Your article highlights the contrary - that by freeing the discussion from any agenda, even more impactful outcomes are allowed to emerge. Will take a look at the Rick Wolfe video ..